Luella Eunice Check was born to Fred and Alvida Check October 21st 1925 in Walnut Grove Minnesota. Luella graduated from Walnut Grove Public High School and worked at West Publishing in St. Paul Minnesota. She moved to San Diego, Calif., during Second World War. Luella worked at consolidated Aircraft and was part of the American Women that worked in shipyard and factories during WWII known as “Rosie the Riveter”. On October 21st 1946 Luella was united in marriage to Floyd Nordsiden. She and Floyd farmed in Minnesota until retirement and settled in Westbrook. Her passion was sewing, embroidering, stitching, and cooking; which she shared freely with others. She cherished time spent with family. Luella Eunice Nordsiden died Thursday July 14 2016 at Winner Long Term Care Hospital at Winner SD, at 90 years of age. 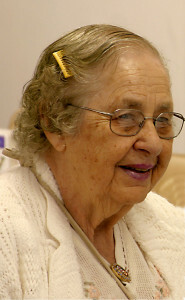 Maryetta Louise Wacek was born on January 31, 1922 to John H. and Hazel A. (Pickett) Crume at their home in the community of Texam northwest of White River, South Dakota. Maryetta grew up in western Mellette County and attended rural elementary schools there and White River High School, graduating in 1942. Maryetta was united in marriage to Bernard Wacek on October 23, 1950 in the Sacred Heart Catholic church in White River. They then made their life-long home in White River. She performed various office jobs before and after their marriage until they started their own business, Wacek Electric, in 1956. 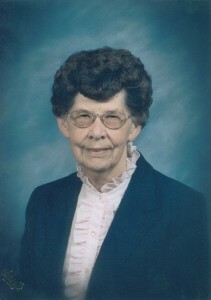 She was the bookkeeper and sales person of the business working with her husband and son for over 50 years. Maryetta was a member of Sacred Heart Parish for all of her adult life, and took pride in caring for the church and parish hall for many years. She is also remembered for teaching catechism classes for the parish children. Special moments in her life included church sponsored tours of Rome and the Vatican City, Israel, and Ireland. 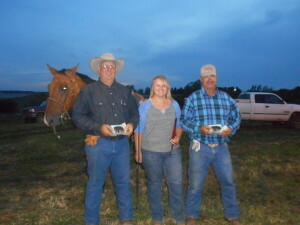 Gary Zimbelmann and Rod Hollenbeck were the winners of the Dallas 10 steer dally team roping sponsored by the Dallas Horsemen’s Club on July 3. Second place went to Cordell Nielsen and Carl Nielsen. Taking third were Wiley Health and Jake Cole. Fourth place went to Jake Cole and Isaac Graesser. The overall fast time was Jake Cole and Isaac Graesser in 5.62. In round 2, the fast time went to Cordell Nielsen and Karl Nielsen in 6.68. In round 8, Cole and Graesser had the fast time. 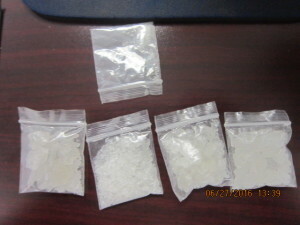 Jack Brandis Jr., 42, Winner, was arrested by the Tripp County Sheriff’s Office on June 27 at 8 a.m. The arrest was made on 281st St.
Retrieved from the vehicle were 14.25 grams of methamphatime, cash, scales and other drug paraphernalia. Brandis is charged with possession of a controlled substance with intent to distribute, possession of a controlled substance and possession of drug paraphernalia. A preliminary hearing was held on July 3 and an arraignment date has not been set. Brandis is being held in custody in the Winner jail. It is going to very hot and dry this week with temperatures climbing into the triple digits. The Tripp County Office of Emergency Management said the weather service isn’t predicting wind but the high temperatures and low humidity are a dangerous combination for fire. The office asks people to be careful with any ignition source. They also urged people to stay cool and drink plenty of fluids. The temperature for Wednesday is predicted to be 104 with a 103 on Thursday and 101 on Friday. Gov. Dennis Daugaard announced July 14 that he will appoint Magistrate Judge Natalie Damgaard of Sioux Falls as a circuit court judge in South Dakota’s Second Circuit Court. 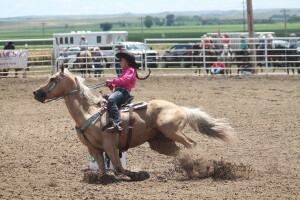 Damaged is formerly of Winner and the daughter of Helen Turnquist of Winner and the late Roger Turnquist. Damgaard will succeed Judge Patricia Riepel, who retired last month. The Second Circuit includes Lincoln and Minnehaha counties. Damgaard has served as a magistrate judge in the Second Circuit since 2011. In that role, she is active in the Second Circuit Drug Court. Prior to serving as a magistrate judge, Damgaard was an associate with the Janklow Law Firm from 2008 to 2010. Damgaard graduated from the University of South Dakota in 2002 with a degree in criminal justice, and graduated from USD School of Law in 2006, where she was a Thomas Sterling Honor Graduate. From 2006 to 2008, she was a law clerk for Justice Richard W. Sabers of the South Dakota Supreme Court. Damgaard and her husband, Andrew, have two children. The Winner Community Playhouse will present a children’s production July 21 and July 22 at the Playhouse. The curtain time on July 21 will be at 7:30 p.m. and on July 22 there will be a matinee at 3 p.m. and a show at 7:30 p.m. The plays are directed by Molly English with help from Michele Novak and Emily Moser. 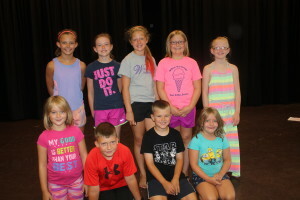 The children in the cast are: Annie Connot, Jacob Manke, Noah Manke, Elizabeth Moser, Kendyl Bachmann, Tessa Mann, Karlee Brozik, Emily Sachtjen, Arnola Duffy, Joselin Kludt, Jenna Connot and Kayleigh Stands. The Technical Director is Dan Patmore. Wiley Heath of Colome was named the Senior Boys All-Around at the Tripp County 4-H Rodeo. Dylan Suhr, Canton, was the Senior Boys Runner-up All-Around. Dawson Munger, Pukwana, was the Senior Girls All-Around and Savannah Krogman of White River was the Senior Girls Runner-up All-Around. Petersek and Denton Good were the Junior Boys All-Around and Wyatt Olson was the Junior Boys Runner Up All-Around. Layni Stevens, St. Lawrence was the Junior Girls All-Around and Ramee Jo Hanson was the Junior Girls Runner-Up All-Around. Bailey Kahler of Millboro was crowned the Senior Ambassador. She also won Horsemanship and Miss Congeniality. Bailey Hoffine, Colome, was the Junior Ambassador. The First runner-up was Arista Kaiser of Millboro with Cami Wolles, Dell Rapids was the 2nd runner-up. Hoffine won Horsemanship and Kaiser won Miss Congeniality. Winner/Colome Legion baseball team won the Region 4B title with an 11-8 victory over Wagner on Saturday. With the victory, the Royals advance to the State Class B tournament which starts Friday in Webster. Winner/Colome will play Milbank at 5 p.m.
Ty Bolton started on the mound for the Royals in the Championship game as he pitched four innings, giving up 7 runs (3 earned) on 3 hits, 6 walks and 3 strikeouts. Kelly O’Bryan earned the win in relief pitching 5 innings and giving up 1 unearned run on 2 hits, 1 walk and 5 strikeouts. Drew DeMers had 4 singles, 4 RBIs and scored 3 runs. Nick Lantz had 3 singles and 2 RBIs. Reed Harter had 2 singles and 3 runs scored. Riley Calhoon had 2 singles and 3 runs scored. In the second game of the regional, Winner/Colome defeated Platte 11-10. DeMers had 3 singles and 3 RBIs. Reed Harter had a triple, single and 4 runs scored and Kelly OBryan had 2 singles and 3 RBIs. Nick Lantz had a double and 4 RBIs. In pitching, Reed Harter threw 6 2/3 inning to earn the win. He gave up no runs with 5 walks and 8 strikeouts. Ty Bolton started the game and gave up 8 runs (7 earned) on 4 hits, 6 walks and 2 strikeouts. In the semifinal game to advance to the finals, Winner/Colome defeated Parkston 6-4 in 12 innings. Harter had 2 RBI double in the top of the 12th inning to give the Royals the lead. Calhoon had a double and 2 singles. Harter finished with a double, single, 2 runs scored. DeMers had a double, single and 2 runs scored. In pitching, Carter Brickman started the game and pitches 6 2/3 innings and gave up 2 unearned runs on 5 hits, 2 walks and 5 strikeouts. Harter earned the win in relief pitching 4 1/3 inning and giving up 2 runs on 7 hits, 2 walks and 4 strikeouts. O’Bryan earned the save pitching the 12th inning and striking out 2. Weber said Winner trailed by 8 runs early against Platte and really battled in a marathon game against Parkston. “This is kind of indicative of the never give up attitude that our players have had since the beginning of the club ball season. It is an honor to make a state tournament and I’m so proud of our guys for coming up big and reaching this milestone,” said Weber. Winner Teeners defeated Gregory 6-5 on July 12 in Winner. Levi McClanahan was the winning pitcher and leading hitter was McClanahan with a double and single. The Winner Teeners defeated Platte 9-0 in a rain shortened game on July 7. Cale Meiners was the winning pitcher. Leading hitters were Meiners, Ty Bolton and McClanahan with 2 singles. On July 8, Winner defeated Chamberlain 2-1 with Bolton as the winning pitcher. Leading hitters were Meiners with a double and a single. Winner Teeners played in a tournament in Sioux Falls July 9-11. Winner was the only Teener team in this junior Legion tournament. 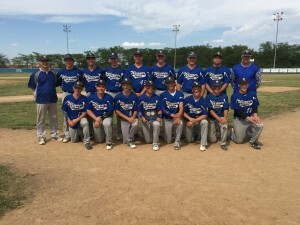 On July 10, Apple Valley, Minn., Junior Legion defeated Winner 14-6. McClanahan was the losing pitcher. Brickmam had a double and single, Meiners and Nick Lantz hit 2 singles. On July 10, Sleepy Eye, Minn., Junior Legion defeated Winner 12-11. McClanahan was the losing pitcher. Riley Calhoon and Meiners had 4 singles, McClanahan, double and single. 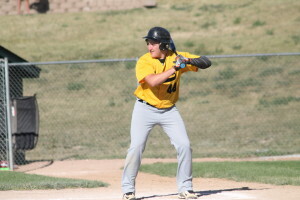 On July 11, Brandon Valley Junior Legion defeated Winner 6-3. Meiners was the losing pitcher. Lantz and Brickman each hit a double and a single.